New book news – Cottingley Fairies! I’m so excited to finally be able to share the wonderful news that I’ve signed a new book deal with HarperCollins in the US and the UK. My – as yet untitled new novel – is based on the true events of the Cottingley Fairies and tells the story of the two young cousins who claimed to photograph fairies in their Yorkshire village in the 1920s, and the present-day woman who sets out to discover what really happened one hundred years ago. The official press release went out in The Bookseller today. 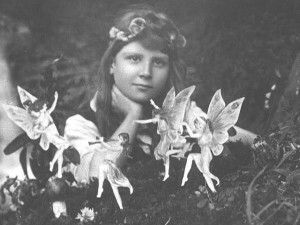 I’ve been fascinated by the Cottingley Fairy photographs and the story surrounding them since I was a young girl growing up in Yorkshire, and I’m incredibly excited to be writing this book. The image above is the first photograph taken by the girls and shows Frances Griffiths, the younger of the two cousins, who my story focuses on. What a magical idea, Hazel. 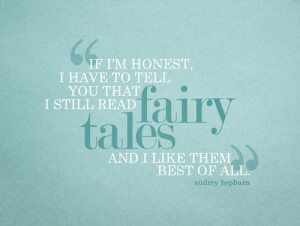 I’ve always been facinated by the Cottingley Fairies. Looking forward to reading it already! I can’t wait to read it!! It sounds wonderful! I’m reading, “The Girl From The Savoy”, at the moment, and I’m loving it! !